WagerWeb Casino: A Great Casino Choice for Crypto Bettors? 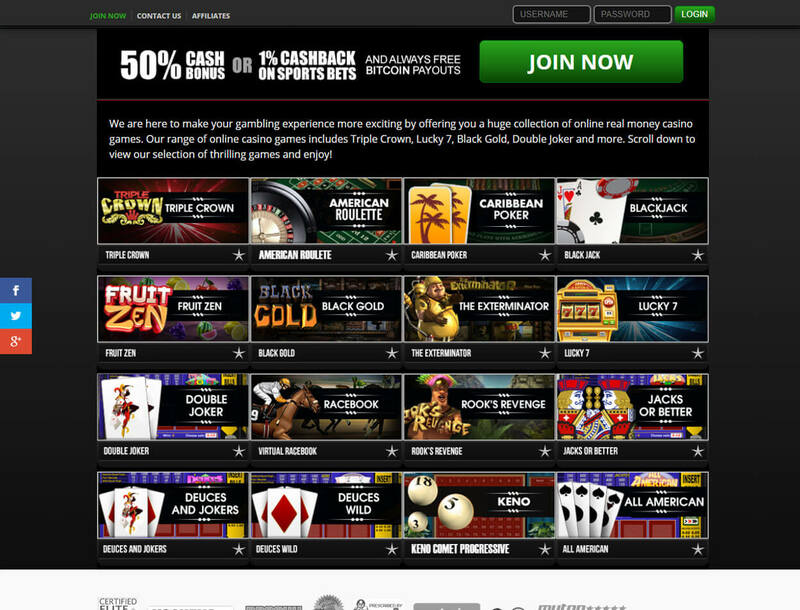 WagerWeb Casino is a Costa Rica-based gaming hub that launched in 1994. The site’s game library consists of titles from Digital Gaming Solution (DGS) and Betsoft Gaming. Outside of the casino is the sports and race betting sections which is the online betting hub’s strong point. The online casino is a licensed business in Costa Rica. Following this, there are no strict rules for the gaming hub to stop anyone from creating an account and play the games with real money. But this also means that you will not get any help from the Costa Rican regulations office when you get into any legal troubles with the website. Another thing you should know is the sites account creation. You will need to use your name, home address, and contact number to sign up. The site also requires you to get in touch with contact personnel in order to activate your account. Know all these, should you sign up with WagerWeb Casino? Get the answer by reading this review. After signing up with WagerWeb Casino, you have a choice of either getting 50% bonus cash or a 75% free play bonus. Plus, you will get a 5% cashback on bets you make both in the casino and on racebook. To get the bonus, you need to fund your account with at least US$100. After getting the bonus, the maximum bet you can make is about 20% of your deposit amount. You need to meet the 15x rollover requirement for you to remove the 20% bet limit. Meeting the rollover will let you cash out your bonus. This bonus promo will give you a choice of either receiving 20% bonus cash or 30% free play cash. You will also get a 5% cashback for bets on the racebook or casino section. Like the previous bonus, you need to deposit US$100 or more to qualify for this promo. Unlike with the welcome reward, there is no limit as to how much you can bet with the High Roller Bonus. But there is still a rollover requirement of 10 times your deposit and bonus amount before you can withdraw your bonus money. The third bonus choice will give you either low 10% bonus cash or 15% free play cash. 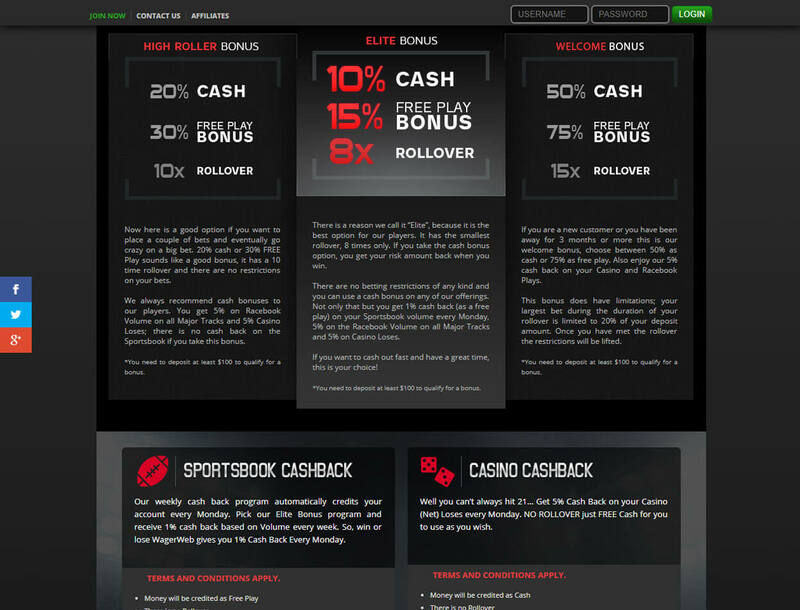 But in exchange for the low bonuses, you get 1% cashback for sports bet every Monday and 5% cashback for wagers on both the racebook and casino sections of the site. You will still need to fund your account with US$100 or more to qualify for the Elite Bonus. Because of the low bonus and free play cash offer, the rollover requirement is only eight times your deposit and bonus amount. This will make it easier and quicker for you to withdraw your winnings from this bonus. Get your tenth deposit for free after funding your account nine times in a row without making any withdrawal. The bonus is the average of the deposit you made over the first nine deposits. You need to meet the rollover of five times your deposit and the bonus cash amount to withdraw the bonus. If you choose to get the free deposit promo, you will not qualify for the other regular bonus promos. The highest amount you can get from this offer is US$750. You also need to note that your account balance and pending bets should be at US$0 to get the free deposit cash. The variety of bonuses and low rollover requirements are definitely a good thing you can get from WagerWeb Casino. But the minimum deposit of US$100 can be too high for you. Other Bitcoin video slot or gaming sites only require you to deposit at least US$20 to qualify for a welcome bonus. 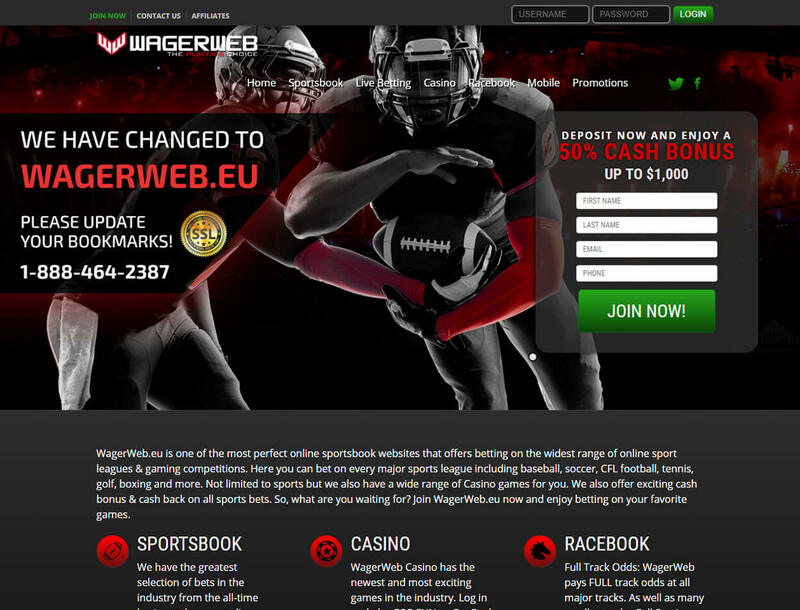 You can find more than 200 games on WagerWeb. Among these are Betsoft’s popular 3D slots like Boomanji, The Magic Shoppe slots, and Aztec Treasures slots. You can also play DGS slots on this site like Alpha Centauri, Pirate’s Revenge, and Fruity Fortune. Both game-makers provide a good variety of table games to the casino. You have your popular favorites like blackjack, roulette, and baccarat. There are also video poker variants that use different rules and payout rates for certain hands. Outside of the gaming hub’s casino offering is a robust sportsbook section. This section lets you place bets on most sport competitions such as the NBA Playoffs, Championship League, and the NFL Super Bowl. 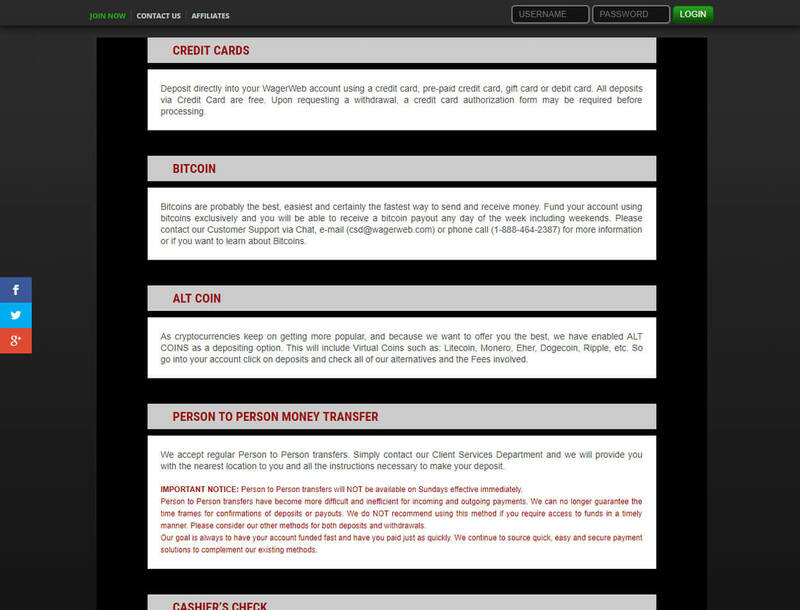 The casino accepts both fiat and Bitcoin payments for deposits as well as withdrawals. But the banking options provided by the gaming hub are somewhat average because of the lack of e-wallet payment methods. In addition, the casino accepts only USD and BTC currencies. This casino definitely covers the basic on deposits for an online casino. The US$25 is somewhat average because there are other gaming hubs that will let you deposit as low as US$1 only. You are out of luck if you fund your account with credit cards or e-wallet services because this will only leave you with bank wire, e-check, or person-to-person fund transfer to cash out your winnings. The smallest amount you can withdraw via bank wire is US$10,000. On the other hand, you can transfer your winnings to a crypto wallet if you chose to fund your account with Bitcoin. But do take note that the minimum cash-out is US$100. The number of games you can find on WagerWeb Casino is hardly anything to get excited about. There are plenty of Bitcoin slot sites that can give you Betsoft titles like Mr Vegas slot or Puppy Love slot. While there are plenty of promotions for you to choose from, all three offerings require a high US$100 minimum deposit just for you to be eligible for the bonuses. While the gaming hub has its shortcomings, there are other reasons to join the site. There are no restrictions for major countries like the US to come and bet with real money on WagerWeb. Another advantage is that there is an option to use Bitcoin to play the games on the site. Basically, this gaming hub is worth spending your crypto coin in if you enjoy the casino titles on the site and would like to make some sports bet on the side.